I was inspired by a couple quilts found on Flickr. 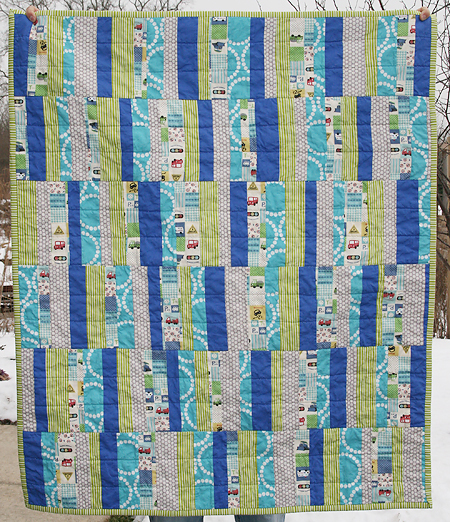 First, Christin at Hazelnut Designs used this fabulous Japenese fabric on a boy quilt she made recently. I immedietely went over the Etsy to buy a bit! I had originally intended on using it for something for my son....but then I just thought it would be perfect for this project. Maybe next time Kyler! 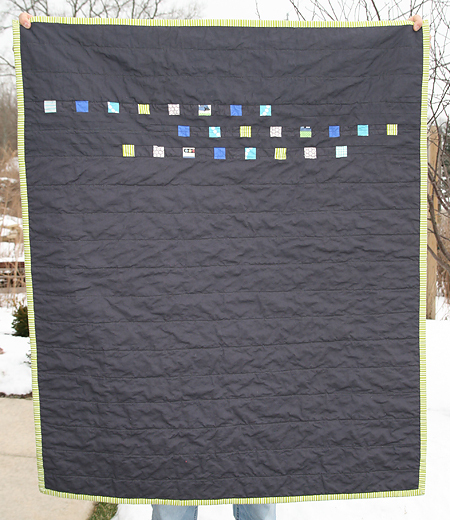 The design was inspired by a quilt by Sarah over at Looking In, Urban Amish. Isn't it beautiful? I added little blocks on the back, scraps for a minimalist modern feel. I used charcoal because I thought this would be a great play mat for the floor, and this way dirt won't show! 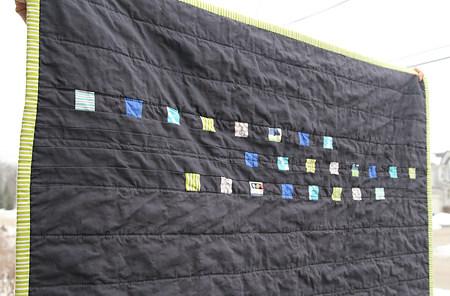 I quilted this using straight lines spaced about 2.5" apart. The binding is a fun stripe by Lizzy House. Seriously, who doesn't like striped binding? The final quilt measures about 46" x 40".